Henryk Wieniawski composed the "Violin Concerto in F sharp minor" in 1853. 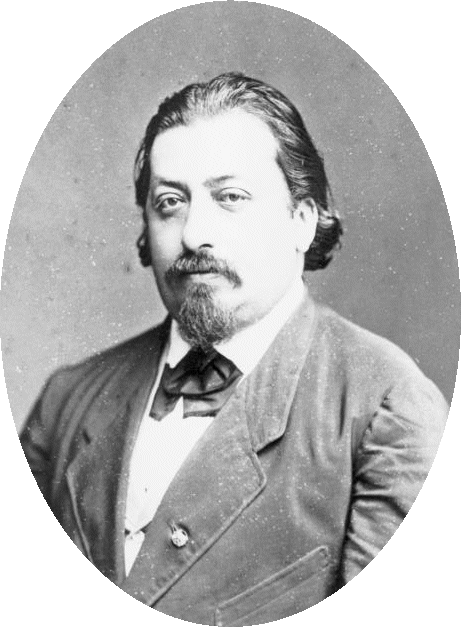 Its premiere took place on 27th October 1853 in Leipzig, with Wieniawski playing the solo part, accompanied by the famous Leipzig Gewandhaus Orchestra. Henryk Wieniawski composed the Violin Concerto in F sharp minor Op. 14 in 1853. Its premiere took place on 27th October 1853 in Leipzig, with Wieniawski playing the solo part, accompanied by the famous Leipzig Gewandhaus Orchestra. The concerto was dedicated to the Prussian king, who distinguished the composer with the Great Golden Medal of Arts and Sciences. The work was published by the Hofmeister publishers in Leipzig in 1853. Although the means which Wieniawski used in Concerto in F sharp minor do not go beyond the style of the time, the amazing thing is that the piece was composed by a seventeen-year-old composer. Clearly, his composing style was influenced by Niccolo Paganini, Karol Lipiński, Henri Vieuxtemps and Henrich Wilhelm Ernst. The very choice of the key brings to mind Lipiński's Concerto No. 1, Vieuxtemps' Concerto No. 2 and Ernst's Concerto Pathetique Op. 23. Affinities with Ernst's Concerto include not only the use of the same key, but also the passage technique Wieniawski applied in the first movement, Allegro Moderato. What was novel was Wieniawski's use of the cadence as a integral and obligatory Concerto movement. The start of the second movement, with its then fashionable title of Preghiera (The Prayer), is reminiscent of Medieval music. The contemplative mood passes away, however, with the sounding of the fanfare, jocular trumpet motive starting the third movement. The finale, in the form of a rondo, features folk elements bringing to mind Hungarian tunes. Full of artistic finesse and virtuoso technique, the work ends with a bravado coda. Another concerto by Wieniawski, No. 2 in D minor Op. 22, published in 1870, is considered more mature, yet technically simpler. Indeed, due to its technical difficulty, Concerto in F sharp minor was not widely performed until the second half of the 20th century. Among the best interpreters of Wieniawski's Concertos was Itzhak Perlman, who recorded both works with the London Philharmonic Orchestra conducted by Seiji Ozawa. Prepared by the Polish Music Information Center, Polish Composers' Union, March 2004.